It’s the most wonderful time of the year. For many, the holidays mean one thing – loads and and loads of heartwarming (sometimes a little sappy) made-for-tv Christmas Movies courtesy of Hallmark. The annual tradition of Countdown to Christmas on the Hallmark Channel is getting bigger and better each year. 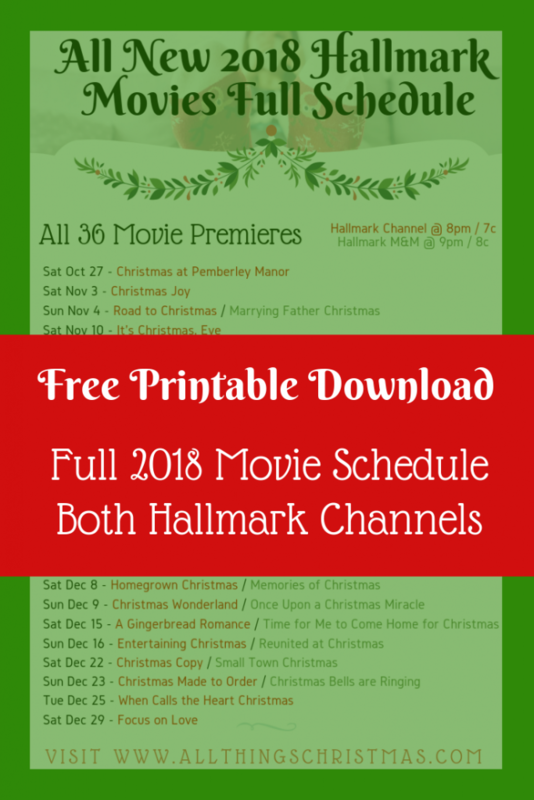 Combined with the Hallmark Movies & Mysteries channel – there are 36 brand-new Hallmark Christmas Movies for 2018. Here is the full list – and the full schedule for both channels in one easy to print Download. If you want to catch up, back in April Hallmark released it’s “first look” at the list of Christmas movies it would be premiering this year. They then released the first Trailer of the year – starring Country Music legend Leann Rimes. If you want to catch up on some of the Hallmark Classic Christmas movies before you start your 2018 movie binge, check out these DVDs. 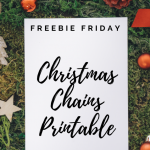 Joy Holbrook (Panabaker) is a keenly intelligent market researcher with an eye on her company’s top account and garnering a sweet promotion just in time for the holidays. Just as Joy is capturing the attention of the account’s CEO, she receives a call from her Aunt Ruby’s best friend back home in Crystal Falls, NC. Ruby has broken her ankle and needs surgery. Though the timing couldn’t be worse, Joy immediately comes to her Aunt’s bedside only to be reunited with former crush, now hospital administrator, Ben Andrews (Long), son of Ruby’s best friend Shirley. Based on the best-selling novel by Nancy Naigle. For the synopsis of every new Christmas Movies on Hallmark Channel, visit their Countdown to Christmas page. For details on each film that will be on Hallmark Movies & Mysteries, visit their Miracles of Christmas page. 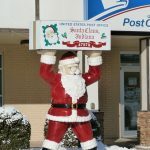 Don’t forget that Hallmark Channel is playing Christmas Movies 24/7, so you can catch up on some of your old favourites. Which is your favourite Hallmark Christmas Movie?